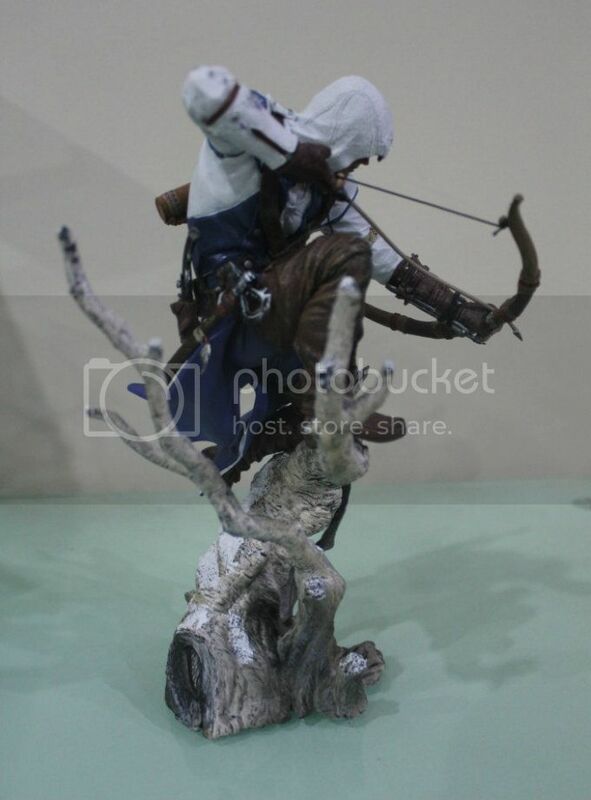 One of the things that I bought to add to my collection for Assassin's Creed 3 was the Connor the Hunter statue. 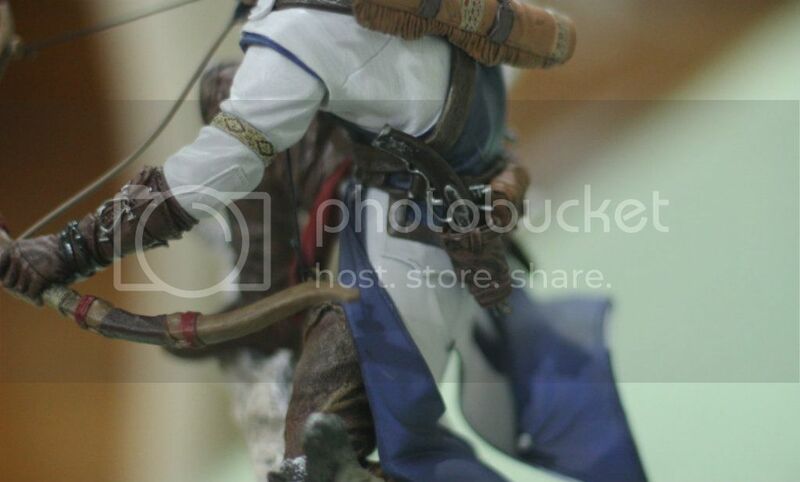 Yes there was already a different Connor statue in the Freedom Edition, which I also purchased, but how could I let up the chance to add yet another Assassin's Creed figure to my ever-growing collection. Fantastic looking display box with a nice window display to see the statue inside. 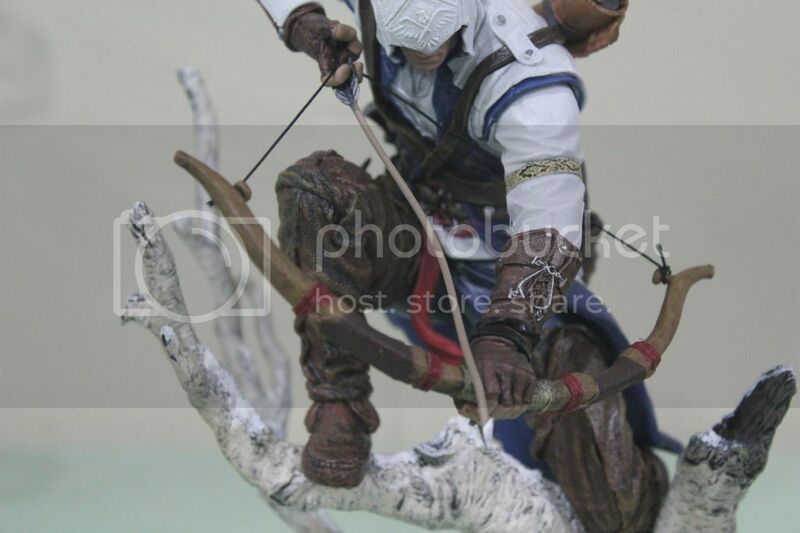 But that's not going to deter me from opening the box..
Connor comes in this pose where he sits atop a tree branch aiming an arrow at possibly a templar or animal. 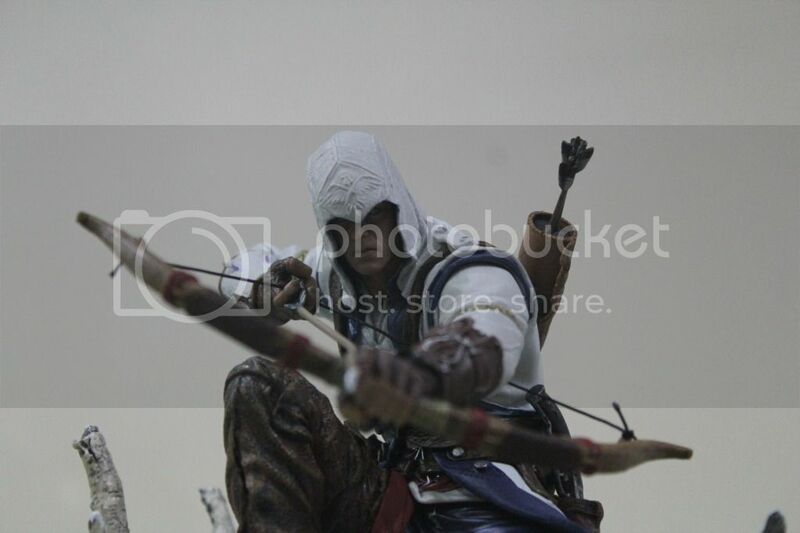 Hunting is one of the activities that you can do in the latest Assassin's Creed 3 game and traversing trees is also an option. 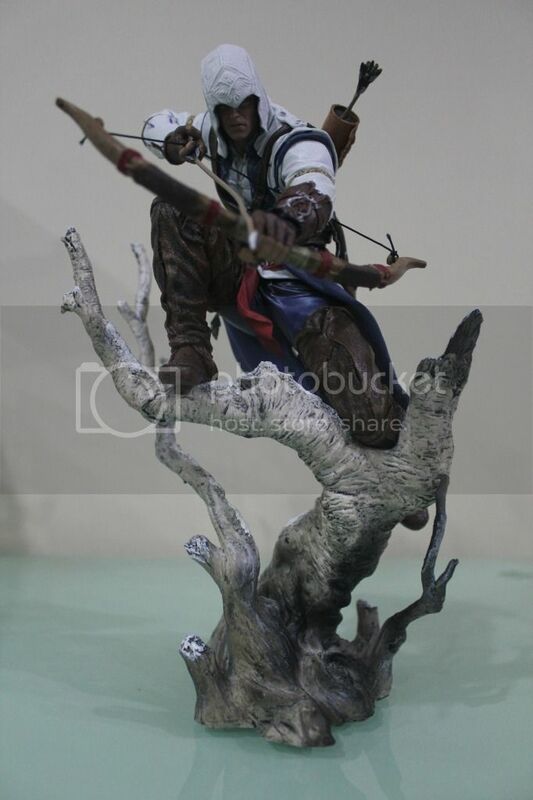 A different pose compared to the standing poses chosen for the previous Assassin's Creed statues but it still fits well with the rest. 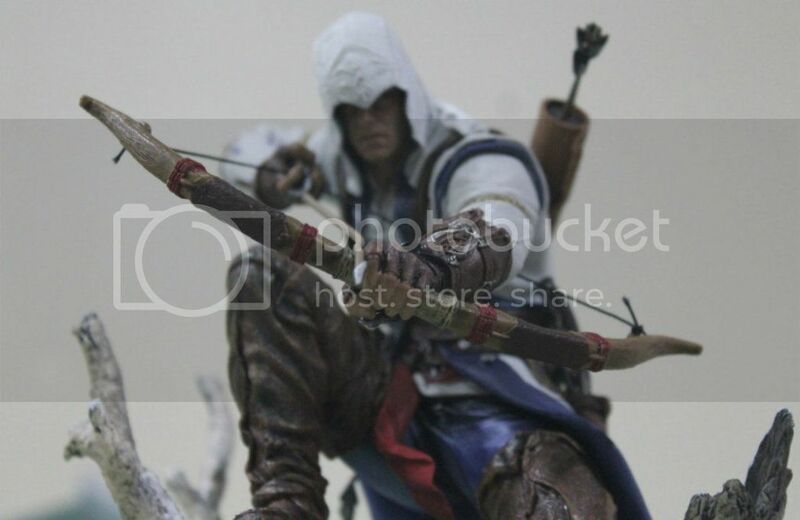 Connor also comes with a range of weapons that he will use in the game.. The weapons are nicely done. They don't look cheap and it doesn't feel like they are there for the sake of it. 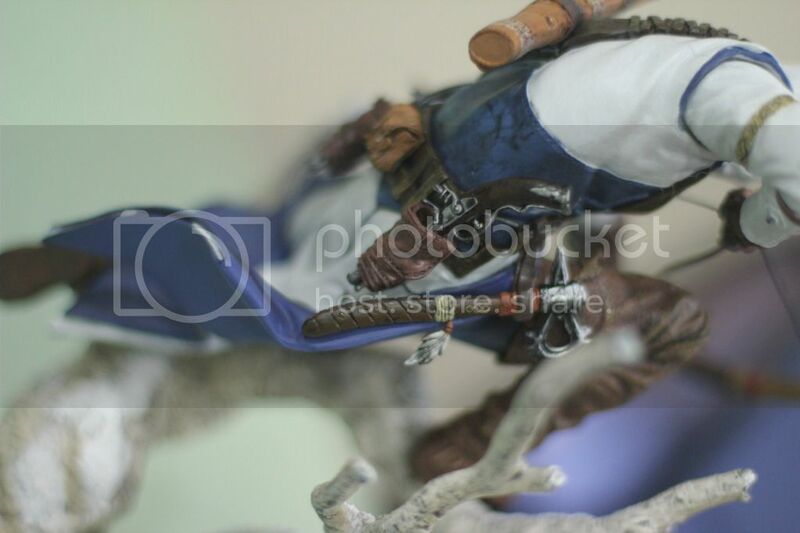 All weapons are finely detailed and nicely painted. The bow 'string' is made of a real nylon string from the looks of it so it feels and looks real.You can also remove it from his hands, but no real purpose in that. 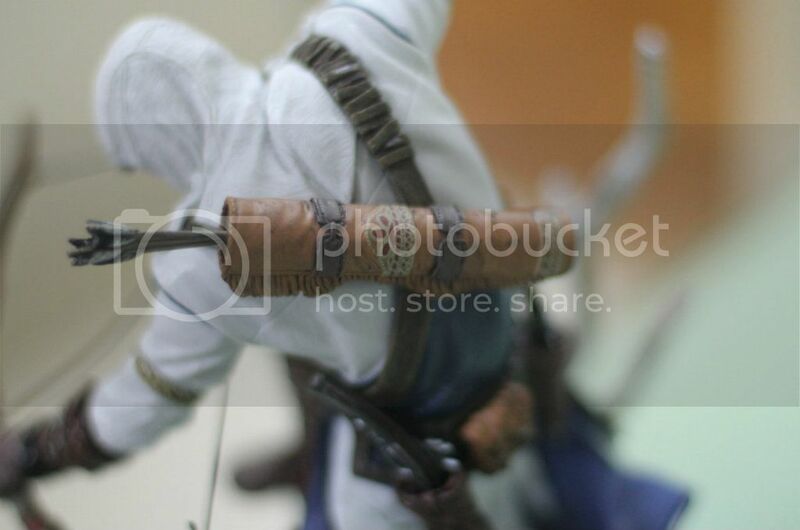 The only flaw in the figure I received was the arrow.. The material used to make the bow is bendable and it seems the top part of the arrow wasn't stretched out straight before it was glued so it looks bent now. You can have the best sculptors doing the original statue but if the bloody China worker in the factory screws it up, then you are fucked! 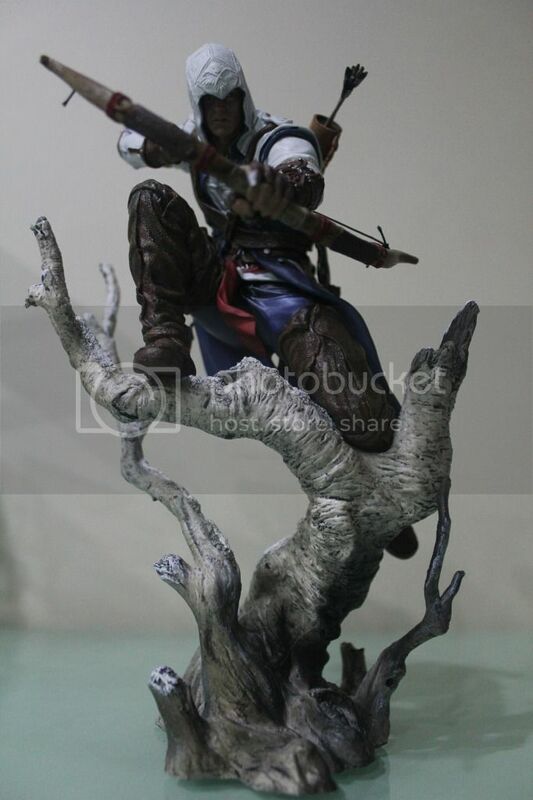 Other than that, this figurine is awesome, much more detailed than the previous Ezio and Altair statues but still fits in well if you display them altogether. 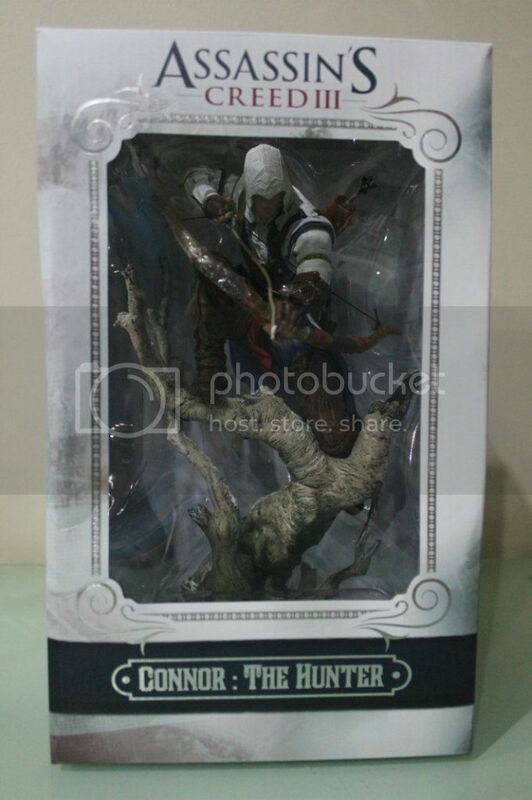 Now just waiting for the Freedom Edition to arrive with the other Connor figure and my Assassin's Creed Figure collection will be complete! The last image a Templar sees before he hits the ground..